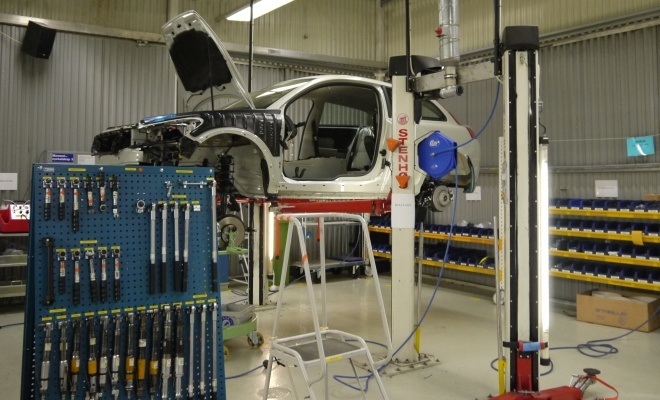 Volvo is currently in full swing with its electric car research programme, which will see several hundred of the Swedish firm’s C30 hatchbacks converted to run as battery electric vehicles. I say several hundred rather than an exact number, because different people at Volvo have told me different things. Executives tend to say 250, but the manager of the special vehicles workshop where they are actually building the C30 EV said 350. I’m inclined to believe the latter. I’ve driven an early example of the C30 DRIVe Electric and it’s a lovely little thing. The research participants are in for a treat. 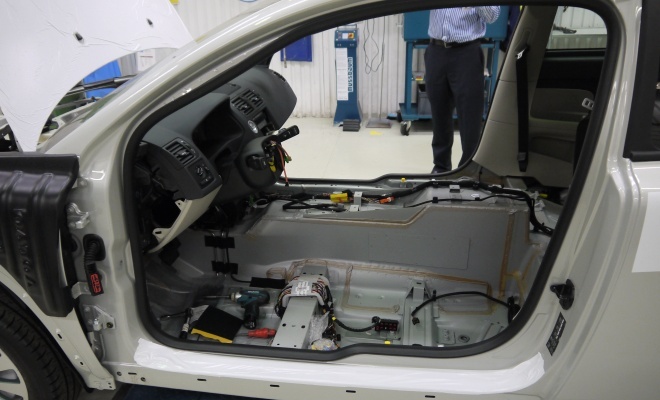 While the current batch of cars are being built, a second generation of research vehicles is already being planned, in collaboration with Siemens. The German industrial giant is bringing expertise in electric motors, charging technology and power electronics to the party. 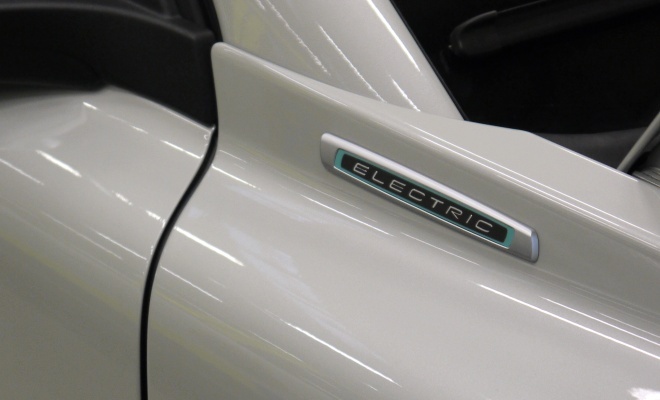 The first gen-2 C30 electric cars will be bolted together early in 2012, with a couple of hundred due to be added during the course of next year. Simultaneously, Volvo is working with a consortium of firms including bus and tram makers on inductive charging, aiming to remove the chore of plugging electric vehicles into a socket to recharge the batteries. Instead, pads mounted under the car and on the floor of a garage, for example, will connect using electromagnetic induction to transfer the necessary power. For domestic EVs this is likely to happen while the car is parked, but for buses and trams, the concept of wireless power transfer on the move is obviously of great interest. The C30 bodyshell is stamped, welded, painted and trimmed on the same production lines as all the other C30, S40 and V50 models, in Ghent, Belgium. Some of the sheet metal is modified to accommodate the electric drivetrain. 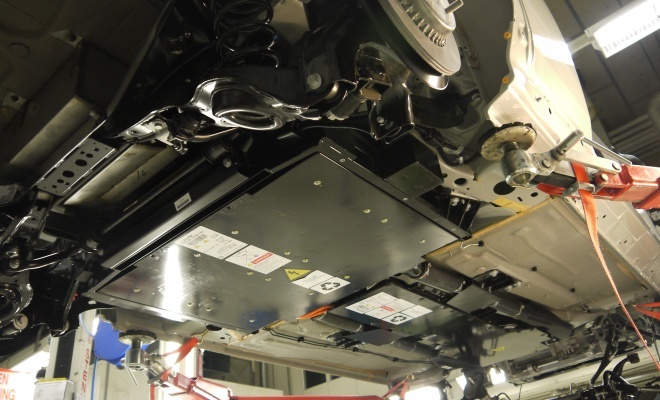 The raised box-section area running down the centre spine of the car will accommodate part of the electric C30’s battery. 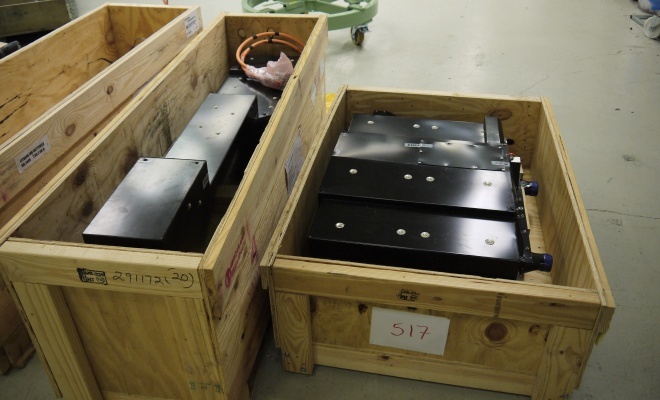 The big lithium-ion batteries arrive in wooden crates from EnerDel in the US. The battery is split into two major modules: a long, thin box runs down the centre of the car, and a wider box fits across the rear. The orange cables will carry power, the dark blue plastic caps cover entry points for plumbing. The battery is liquid cooled and, in Swedish winter, heated too. 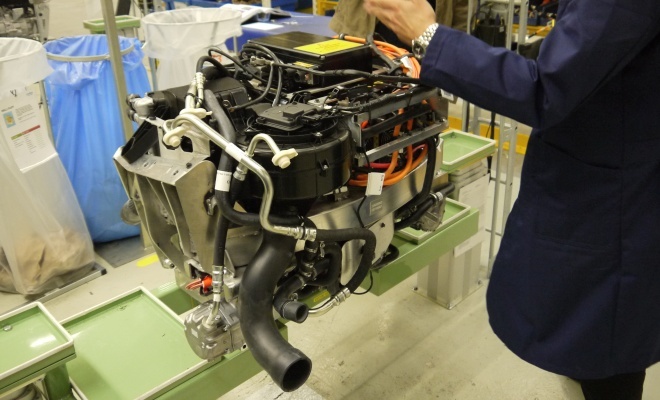 This may look vaguely like an engine but it’s actually the C30’s electric motor, charger and electronic control units. It too gets plumbed into the cooling system. The bodyshell is hoisted aloft so that the major new sub-assemblies can be fitted from underneath. 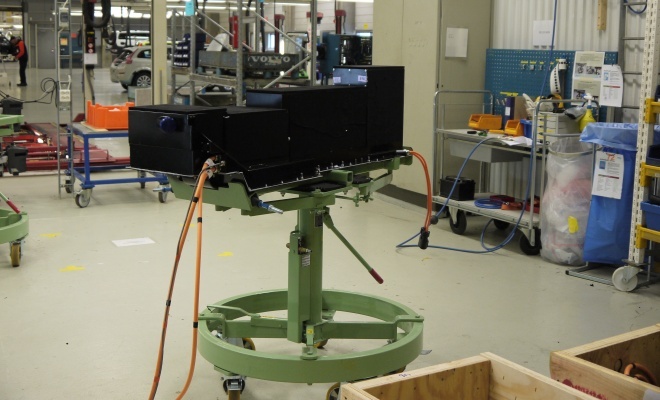 Batteries and motor assemblies are hoisted onto dollies, from which they can be manually jacked up into the waiting recesses in the bodyshell. 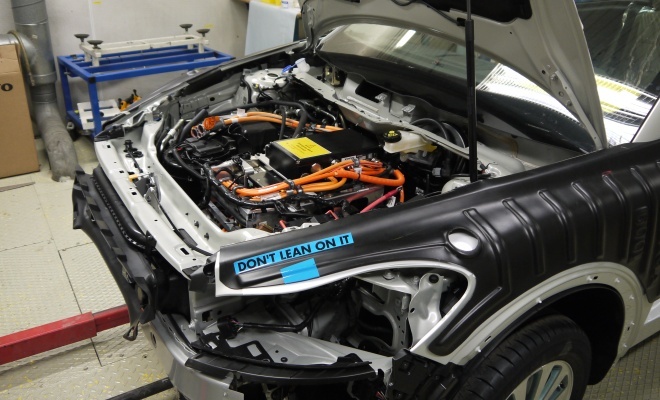 Here you can see the fitted batteries from under the car. All it needs now is a motor. And some wheels. And some doors. And an interior. The motor and electronics are bolted into place, before the car is lowered for final assembly and testing. 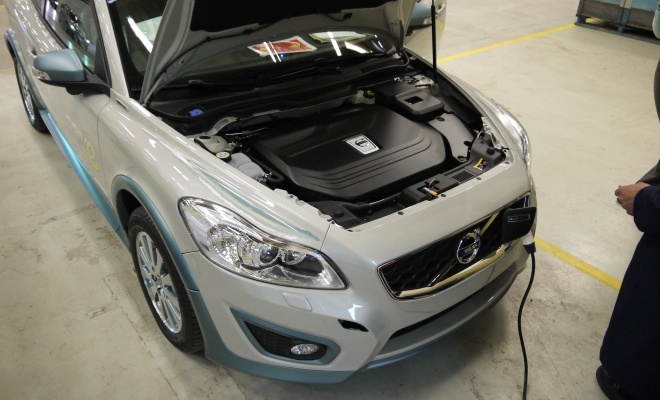 With all its components complete, right down to the decorative under-bonnet plastic cover, the finished C30 is ready for its first charge. A bit like getting a new mobile phone. Only a lot bigger. And more expensive. And not really like a phone at all.